As I read the comics on Sunday afternoon, I laughed when I saw Family Circus. The pictures went in a circle. First Dad was sick, then each of the four children, then Mom and then it had Dad’s picture again. It said – “This flu bug goes around and around and around.” Even though I laughed, I realized that is the way sickness has impacted lives recently. It seems that people will get sick, get better, receive some more germs and then get sick again. There doesn’t seem to be any rhyme or reason for the way the sickness is impacting lives. One will ache all over, another will have a cough, and another will sneeze and have a runny nose, while others will have stomach problems. The only consistent thing in all of this is that the sickness keeps going on. It seems like a never ending battle. As I considered this, I thought about how sin gets in our lives and keeps going on. Paul wrote in Romans 5:12 – 12 “Therefore, just as through one man sin entered into the world, and death through sin, and so death spread to all men, because all sinned.” What began with Adam continues on even today. The sin of one touches the life of another, another and then another. It continues to move all around us as we live our lives. The impact sin has is never just for one it moves on to those around and impacts their lives as well. Like the flu, sin never lets up. Then Paul writes in Romans 5:15 about the cure – 15 “But the free gift is not like the transgression. For if by the transgression of the one the many died, much more did the grace of God and the gift by the grace of the one Man, Jesus Christ, abound to the many.” Paul was simply saying that the cure for sin comes through the grace Jesus Christ and Him alone. 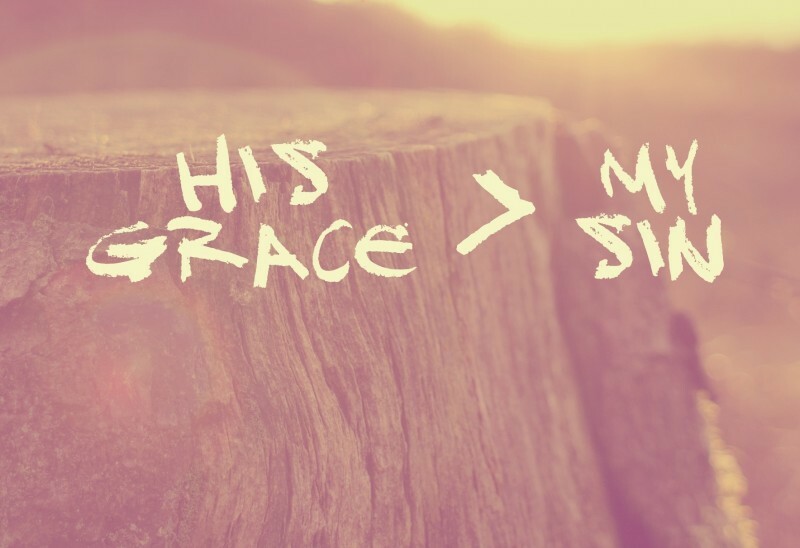 Paul makes it abundantly clear that it is through the One, Jesus Christ, that God’s grace will come forth and bring about the forgiveness of sin. But while it sounds great, let me share something with you. Just like a person with the flu or some other form of this sickness must go to the doctor, receive medicine and then take it; we must come to Christ and receive the grace that He offers and then live in it. It is a matter of us turning from our sin and coming to Christ. It is our seeking Him in our time of need. The truth is that sin ‘goes around and around and around’. It catches us when we are weak and doesn’t like to turn loose. So it is when we go to Christ, lay our sin before Him and allow Him to show us the way we need to go that we find the grace to get through. So hold to His unchanging grace.